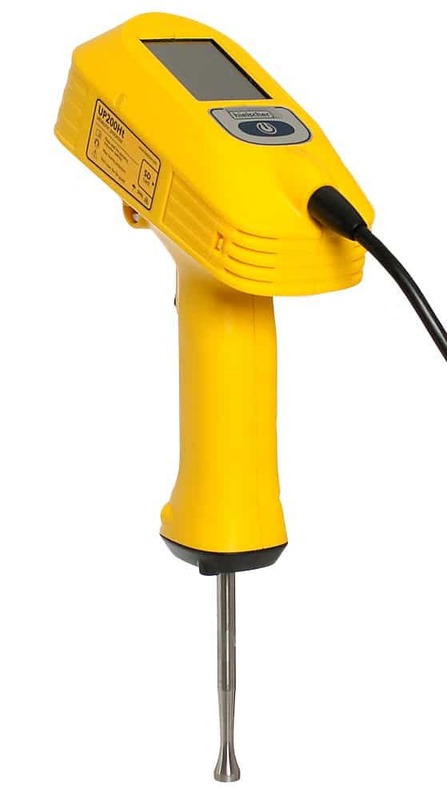 The UP200Ht (200W, 26kHz) is part of the new series of Hielscher’s 200 watt ultrasonic homogenizers which come with broad range of new accessories. The new features include digital control and touch screen, automatic data recording, intuitive operation and ergonomic and shapely design for the most user-friendly use and working comfort. The device functions and the various accessories allow for different applications and the coverage of very wide parameter configurations. Typical applications for this powerful ultrasonic device are homogenization, dispersing, emulsification, disintegration, cell disruption, degassing or sonochemistry. Hielscher designed this new 200W homogenizer to give the user a high flexibility, ease of use and a new level of accuracy and control. In comparison with its predecessors UP200H and UP200S, the new ultrasonic device UP200Ht features many additional functions and very smart user friendliness. With its 200 watts power the UP200Ht offers the same performance and reliability as UP200H and UP200S, but it differs by its completely new design that is more comfortable for the handheld and stand-mounted use. 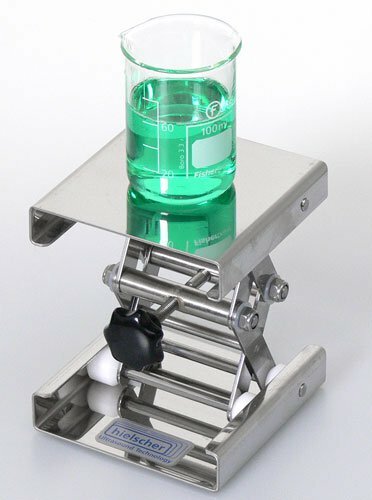 Due to the broad coverage of parameter configurations (by variation of amplitude, pressure, temperature, flow cell, glass sonotrode,…), the UP200Ht covers the full range of applications, such as homogenization, emulsification, dispersion, disintegration, cell disruption & extraction, degassing as well as sono-chemical and sono-catalytical processes – for small and medium size volumes. 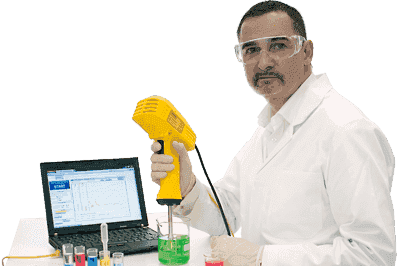 Generally, the UP200Ht is used for the sonication of sample volumes from 0.1 to 1000mL. Hielscher offers various sonotrodes from 1 to 40mm tip diameter. Whilst the 40mm sonotrode transmits the ultrasound smoothly across a relatively large surface, the sonotrodes with smaller tip diameter operate at higher amplitudes and at higher intensities, e.g. for destructive applications. The UP200Ht can be also used for the production of smaller quantities, mostly in continuous flow with the use of flow cells and the appropriate sonotrodes. In combination with the flow cell FC7K, the material can be sonicated in a continuous flow-through mode, e.g. at a flow rate of 20 to 200mL per minute. 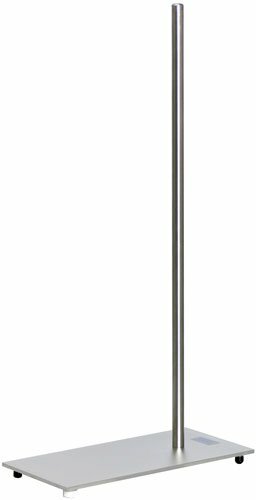 The stainless steel flow cell is pressurizable up to 5 barg. By this, continuous sonication processes can be simulated in smallest scale. Due to its reliability and IP41 grade, the UP200Ht can be operated 24 hours per day (24h/7d), allowing for the processing of up to 180L per day (depending on the application). The versatility of the ultrasonic lab device is not only performed by the suitability for various applications but also by the flexible use. The user decides according to the application, the processing environment and the duration of sonication, weather the device is used as a handheld or stand-mounted ultrasonic lab device. A great enhancement from the operational view is the colored touch-screen. 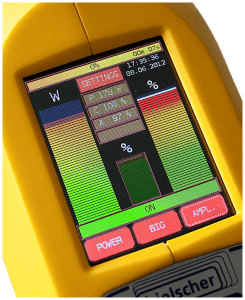 This touch- and stylus-sensitive screen allows for easy handling, accurate setting of operating parameter and the display of the ultrasound power setting are guaranteed and combined with highest comfort for the operator. The digital control menu is intuitive to use as reduced to the main settings. 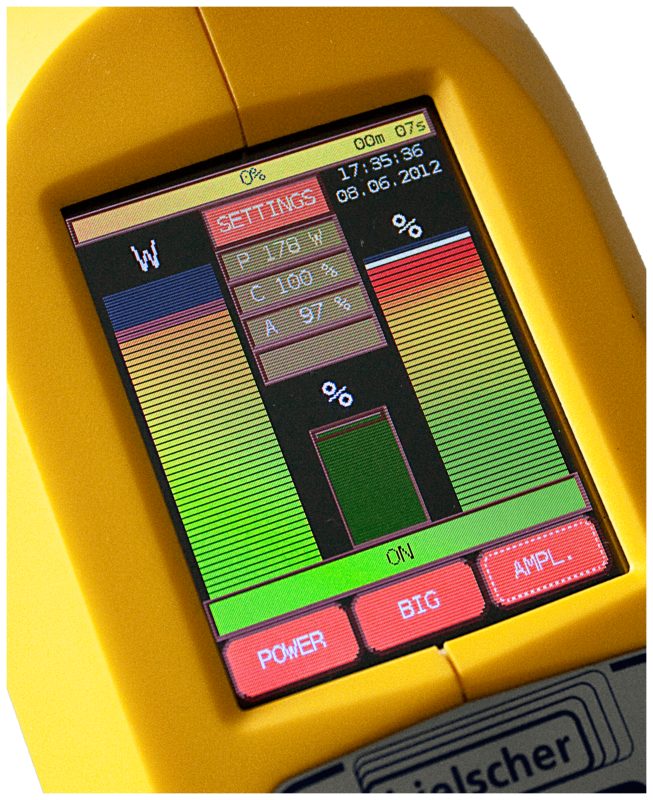 The amplitude/ power setting and the pulse mode can be adjusted by a colored touch-slider (with 1%, 5% or 10% snap). The user decides, if he prefers the display of amplitude and power as colored bargraph or numerical. The displayed data content is reduced to the important essentials in BIG NUMBER display mode that uses higher contrast and bigger fonts for improved visibility. The UP200Ht can be controlled using any common browser, such as Internet Explorer, Safari, Firefox, Mozilla, mobile IE/Safari using the new LAN web interface. The LAN connection is a very simple plug-n-play setup and requires no software installation. The ultrasonic device acts as DHCP server/client and requests or assigns an IP automatically. The device can be operated directly from the PC/MAC or using a switch or router. Using an optional pre-configured wireless router, the device can be controlled from most smartphones or tablet computers, e.g. the Apple iPad. Using the port-forwarding of a connected router, you could control your UP200Ht via internet from any place in the world – your smart-phone being the remote control. Another smart feature of the UP200Ht is the operation and control via LAN (local area network, see right box) which facilitates the operation and allows for high processing flexibility. All information of the sonication process is recorded on SD/USB data card, automatically. 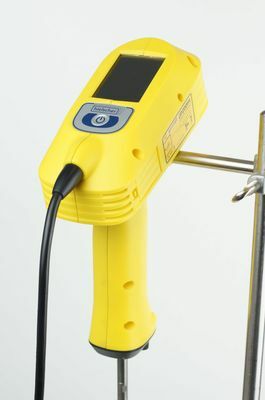 An integrated sensor measures the temperature permanently whereas two bright LED lights illuminate the sonicated sample. 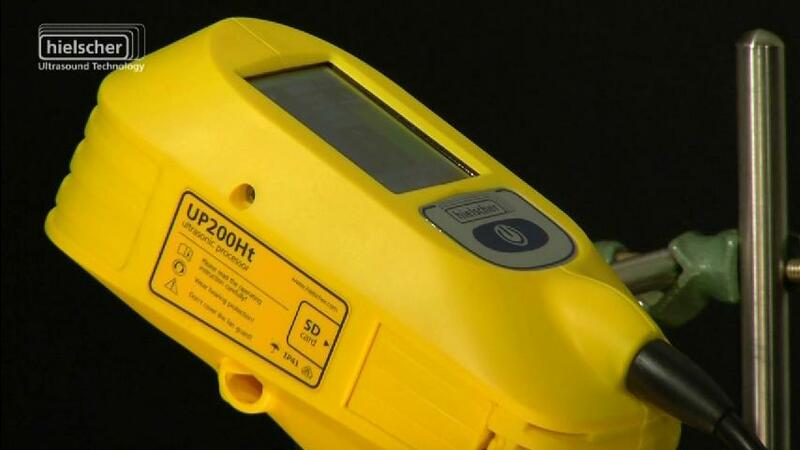 Like all Hielscher ultrasonic devices, the UP200Ht comes with an intelligent automatic frequency tuning. When the device is switched on, the generator will sense the optimal operational frequency. It will then drive the device at this frequency. That improves the overall energy efficiency and reliability of our ultrasonic devices. All you need to do, is to switch the system on. The generator will perform the frequency tuning automatically in a fraction of a second.